Hong Kong Airlines will be launching its new Vancouver to Hong Kong route on June 30, and its latest announcement will likely whet your appetite. The Hong Kong-based carrier has partnered up with two popular spots in Vancouver’s culinary scene: award-winning Cantonese dining destination Dynasty Seafood Restaurant, and Fairmont Pacific Rim Hotel’s new flora and fauna-inspired restaurant Botanist. Hong Kong Airlines has also partnered with the newly opened Botanist, and its renowned head bartender and mixologist David Wolowidnyk has created a signature cocktail for business class travellers. 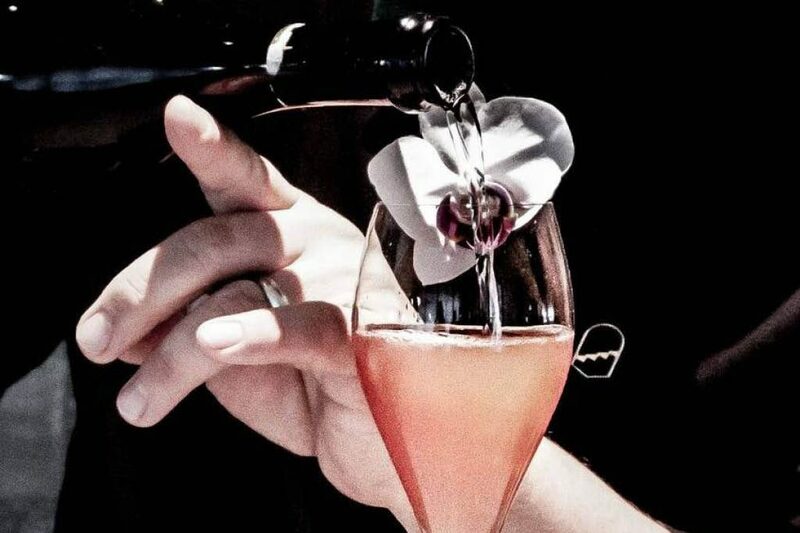 Aptly named the Bauhinia—an orchard native to Hong Kong and is featured on the Hong Kong flag, and is the logo of Hong Kong Airlines—the cocktail is made with Rémy Martin XO cognac, champagne, freshly pressed grape juice, jasmine green tea, and lemon. The libation is inspired by both Hong Kong and Vancouver, and will be served on the airline’s business class skybar. Hong Kong Airlines’ new daily flight service between Vancouver International Airport and Hong Kong International Airport will be its first North American route.